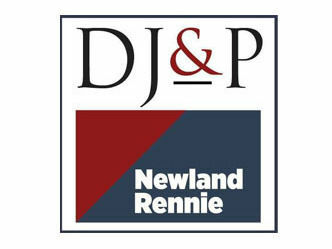 Founded in 1849, Newland Rennie has developed into an innovative practice combining our many years of experience with modern day technology to become one of south east Wales's most respected estate agents. Each site had its own ISDN based system, limiting the amount of calls that could be made or received at one time, none of the six branches could internally transfer to each other meaning to speak they had to make outbound calls costing the company money in calls. It was also frustrating for customers who rang one site and then needed to be transferred to another, they would be advised to redial the other sites number. The telephone system was very old with limited feature functionality, many of the phones were not kept updated and needed replacing. We implemented a project plan which saw each site transition to our hosted platform over a matter of weeks. Once all sites were migrated, each site could make an internal call to any member of staff they needed to get hold of. To make this easier we included a company directory with all staff members names and departments. They were no longer restricted by a maximum inbound and outbound call cap. Our system provided unlimited calls inbound and outbound. We were able to improve the customers experience when calling. For example, calls for Cwmbran lettings were actually dealt with by a team in Newport. With our system we were able to add this option on to their Welcome Message. Once this option was pressed it would take customers straight to the right department. Our hosted system is a lower cost alternative to ISDN with far more flexibility staff are now able to email requests for staff training days, holidays and sick cover to ensure calls are answered efficiently. "The telephony solution we have chosen, moving all six branches over to hosted IP telephony, means that we can be far more sophisticated in identifying callers' needs and routing them to the relevant person, before they even reach one of our members of staff. "We wanted to centralise our lettings operation for Newport and Cwmbran to a single location without the caller being affected by this change. Our new phone system allows us to be far more efficient now, by routing all letting enquiries directly to the relevant office and we can also transfer calls between sites without charge. "We can track the history of our callers to speed up our responses and ensure that everybody across the business has access to accurate caller information. Bills are produced per location so each of our site managers is able to see their costs complete with the breakdown of service charges and calls by type. "Hosted telephony is the way forward for businesses - a lower cost alternative with numerous functions and far more flexibility to enable more efficient business processes and an enhanced service for customers. Implementation was painless and quick and the call quality is excellent. We are delighted with the outcome!"